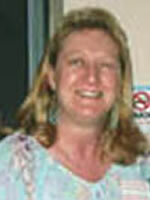 Sheryl Gottschall is a former chairperson of UFO Research Queensland and organizer of several conferences in Australia. Sheryl has presented at a number of conferences and written articles about UFO research in Australia. She assisted in founding the magazine UFO Quest. She retired from the UFO scene in 1996.